Abstract: Considering the importance of Mathematics in the Society and lack of students’ interest towards the subject. The fact that all the scales develop to measure students’ attitude towards mathematics (SATM) applied the CTT procedures; which has a lot of limitations, and the need to ensure that measures of SATM are as precise as possible, this study was designed to apply the procedures of IRT to develop the Students Attitude towards Mathematics scale for secondary school students. Ten research questions were used to guide the study. The sample was 2400 students; a multistage sampling technique was employed. The construct SATM was specified and theoretically defined to have seven components; Items were generated to measure each component. The edited items were given to five content experts with a 3-point scale for face validity and to indicate for each item whether it is ‘essential’,’ useful but not essential’ and ‘not necessary’. A content validity ratio (CVR) was computed for each item. Items were selected based on the CVR and summed to give a Content validity Index (CVI) of .99. A field study was carried out and assumptions were evaluated. The Graded Response Model (GRM) was employed for the IRT analysis. Item selection was based on the Item Information Function (IIF). Selected items were calibrated on a metric scale, with a mean of zero and standard deviation of one. Construct validity was conducted using the confirmatory factor analysis to confirm the factor structure of the scale. Marginal reliability coefficient was computed for theta estimates. The result revealed that the scale is valid and reliable, and that IRT provides item statistics that are sample free and a different picture of a measurement precision than CTT. It also provides an elegant way of score interpretation. Hence IRT is a tool to improve the measurement of important constructs. Therefore, the study provides a unique and reliable scale to measure SATM in secondary schools. 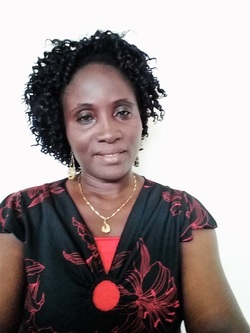 Click here to download Dr. Caroline Asebh Bomo's research!